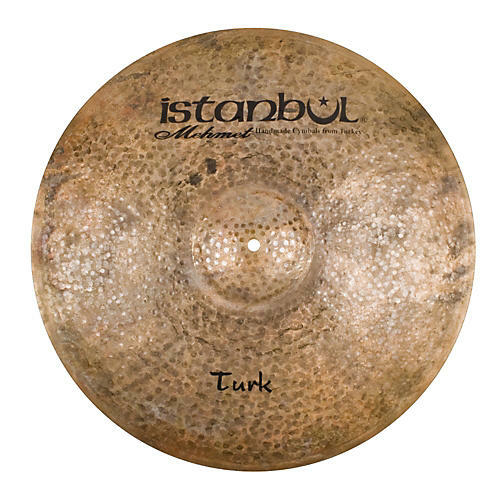 Istanbul Mehmet Turk Series Jazz Ride Sizzle 21 in. Unlathed cymbals with a raw surface clearly showing every hammer mark which created the compact sound of these instruments. Meant for drummers who want that dry sound, yet keeping the wide array of low overtones that's so specific to hand hammered cymbals. This cymbal also features a smoother profile and a compact bell, with added rivets for sizzle. For Rock, Jazz and everything inbetween. Dry. Compact. Controlled. Musical.